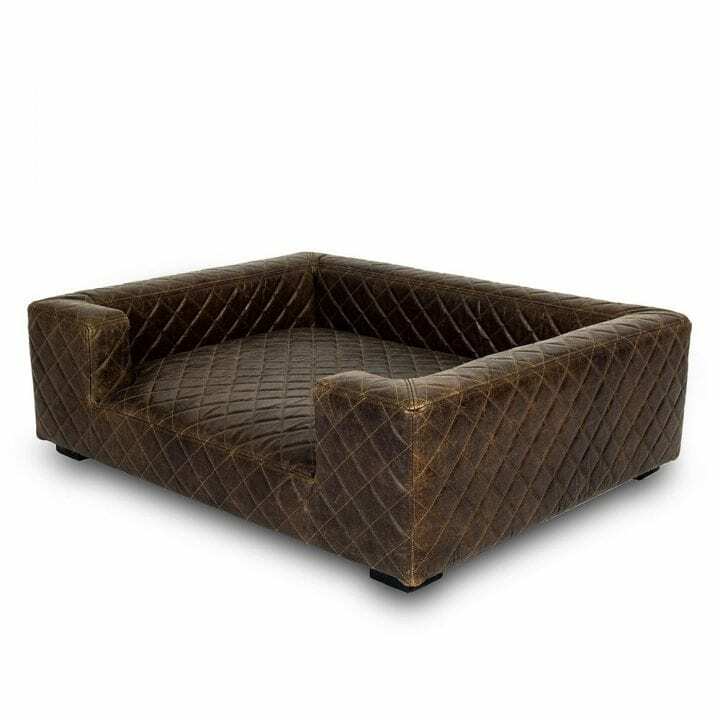 Lord Lou’s Edoardo Havana Leather is the bed your dog has always dreamt of. This elevated dog bed is designed with the happiness and comfort of your dog in mind, as well as the style and luxury you desire for your home. A high-quality dog bed, for the best night’s sleep your dog could possibly have. 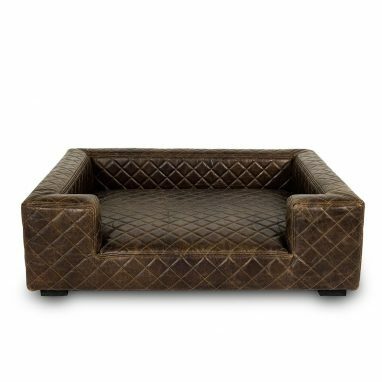 Lord Lou’s new Edoardo is the bed your dog has always dreamt of. This elevated dog bed is designed with the happiness and comfort of your dog in mind, as well as the style and luxury you desire for your home. A high-quality dog bed, for the best sleep your dog could possibly have. Edoardo is a classic leather dog bed and is inspired by the memorable ‘Bentley-stitch’. The soft padding in the bed adds a new level of comfort to your dog’s life, contributing to a well-rested and happy family member. The combination of luxury and comfort, as well as style and quality make the Edoardo bed the perfect addition to your and your dog’s happiness.  The upholstery of the exquisite dog bed consists of authentic leather with a Bentley stitch, making the dog bed both comfortable and timeless at the same time. This classic style evokes a feeling of contemporary ‘royal casual’, adding a classic style to your home. You and your loyal family member deserve only the best: the Edoardo dog bed. 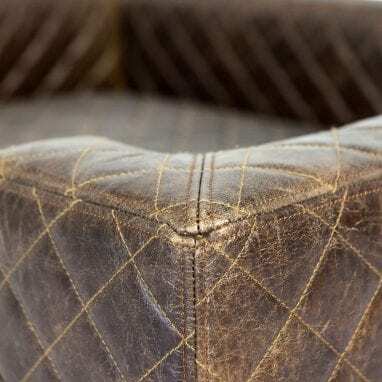 Care: Leather is one of the easiest upholstery materials to look after. It is naturally durable and grows more beautiful with age. Well-made leather furniture is an investment, and with a little bit of love and attention it can last for generations. We offer the following advice to help you care for your leather upholstery. 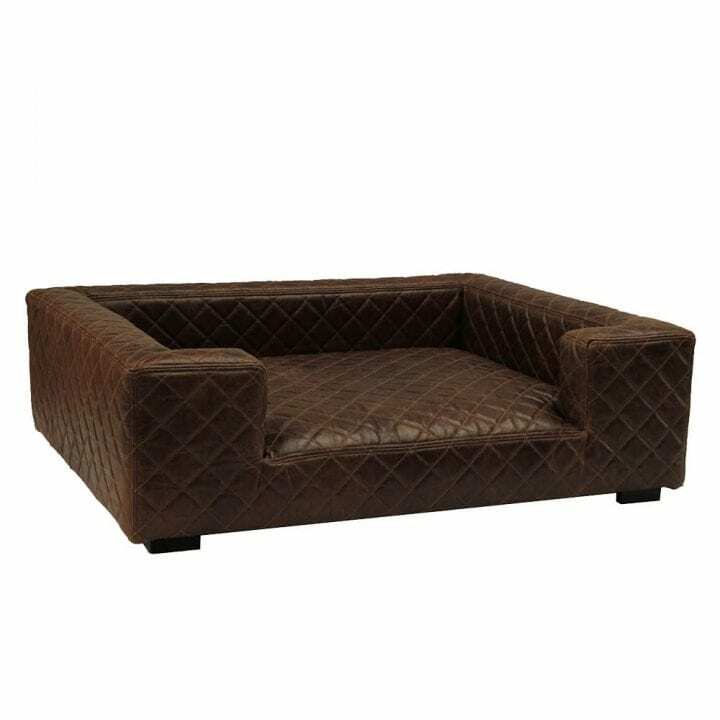 Do not place your leather sofa too close to a heat source, as it may cause it to crack and age prematurely. All leathers will fade over time, but darker colours may fade faster in direct sunlight. Never use ‘standard’ cleaning products to remove dust, spills or stains from leather. Please use specialist leather wipes and creams.